With students back to school in Massachusetts, local police departments are stressing safety around school buses while stepping up enforcement of drivers who fail to stop for pedestrians in crosswalks. If a traffic enforcement sting came to your community, how many drivers would be stopped and cited for unsafe driving? Would you be among them? 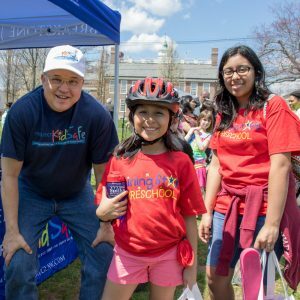 We ask these questions as students head back to school across Massachusetts, in communities from Boston and Cambridge to Plymouth and Brockton to Worcester and Springfield. 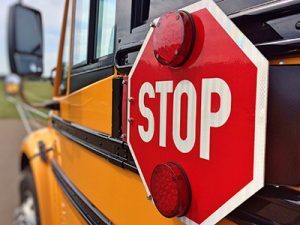 Police departments across the state have set up traffic enforcement over the past few weeks, focusing on drivers who are not stopping for pedestrians in crosswalks and school buses. A few of the communities include New Bedford, Attleboro and South Boston. In South Boston, the surveillance followed the tragic death of a 2-year-old in a traffic crash. The child was being pushed in a stroller on the sidewalk, when a van and car collided. The van plowed onto the sidewalk, injuring and ultimately killing the young boy. A day after the crash, the Boston Police Department and Massachusetts State Police set up a traffic enforcement initiative focusing on crosswalk enforcement, speeding and other unsafe driving behaviors. Within a few days, officers had issued approximately 500 citations for traffic violations. This is a very telling number, one Massachusetts drivers can’t ignore. Slow down at crosswalks. Students who walk to school may have a crossing guard help them across the street. Always slow down as you approach crossing guards and children. Make eye contact with the crossing guard and assume you should stop. The crossing guard will wave you through when it’s safe to go. But even when there is no crossing guard, drivers must stop for pedestrians in the crosswalk when there is a “Walk” or green signal. Other times, drivers have a responsibility to yield the right of way by slowing or stopping for pedestrians in the crosswalk. 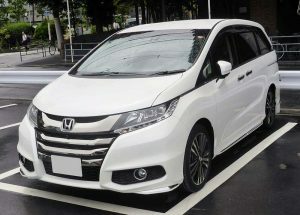 This includes times when pedestrians are in the crosswalk on the same side as the driver and when pedestrians are approaching from the other half of the lane and within 10 feet. There is a $200 fine for crosswalk violations in Massachusetts. The best thing to do is approach crosswalks slowly and stop if you see anyone even near the entrance of the crosswalk. If you can, make eye contact with them, then wave for them to go. Depending on whether other cars stop, they may not be able to immediately cross. You may need to be patient for a few moments. M.G.L. c.89 § 11 is the law governing pedestrian rights in crosswalks in Massachusetts. Read more about the law. 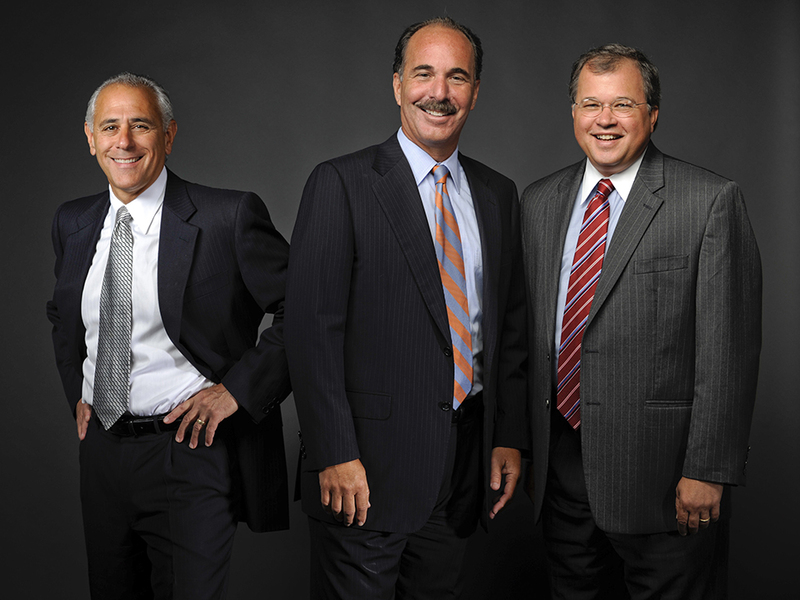 Left to right: Attorney Ronald E. Gluck, Attorney Marc L. Breakstone and Attorney David W. White have been recognized by Best Lawyers in America© 2019. Breakstone, White & Gluck announces that our partners have been recognized in The Best Lawyers in America© 2019. Best Lawyers© is the oldest and most respected attorney ranking service in the world, providing a resource for those searching for legal services for more than 30 years. It ranks lawyers in partnership with U.S. News & World Report and other media partners. Framingham Earth Day. This event was held on April 28th. But it’s always the unofficial start of Bike Month for us. 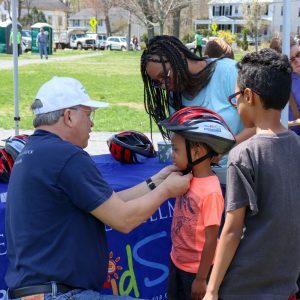 This was our fifth year participating in Framingham Earth Day and donating bicycle helmets from our Project KidSafe campaign to the kids. 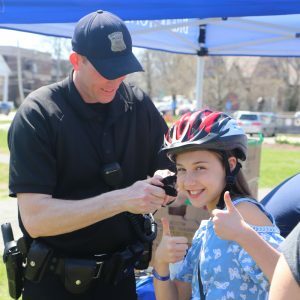 Attorney David W. White and Framingham Police Officer Garrett Coffin fit 150 helmets over the first two hours of the event. The rain stayed away so this year, we got to enjoy being out on the Framingham Center Common. Dozens of vendors came out, including several organizations for cyclists. We have to add: this is always a worthwhile event for cyclists. 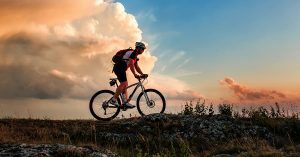 Friends of the Natick Trails, the Natick Cochituate Rail Trail and the Friends of the Bruce Freeman Rail Trail participated, giving cyclists a way to learn about the latest developments before riding. We want to offer a special thanks to Officer Coffin of the Framingham Police Department. Garrett comes out each year. He is patient, good with people and has to be one of the best bicycle helmet fitters in Massachusetts. Clinton Community Safety Rodeo. 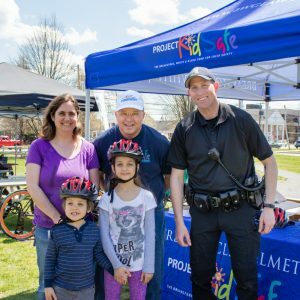 On May 5th, we were pleased to donate bicycle helmets at the Community Safety Rode in Clinton. This is the second year the town of Clinton Park & Recreation Department has organized the event. We are told last year, many children showed up with bikes, but were unable to participate because they didn’t have helmets. In Massachusetts, it’s not just good sense to wear a helmet. 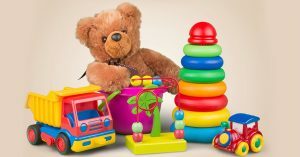 It’s required under the law for children (up to age 16). And as we said, it is important and good sense for all cyclists.